Join MoMath in a celebration to kick off the start of the first-ever Global Math Week! Experience the wonder of mathematics through more than three dozen engaging, hands-on exhibits. 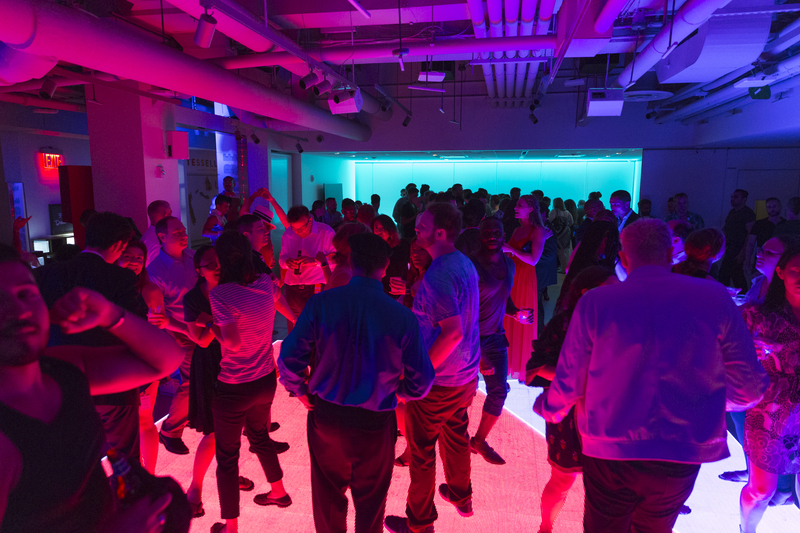 Plus enjoy snacks and drinks as you dance the night away on MoMath’s newly upgraded Math Square, all to the sounds of First Class DJs. What better reason to celebrate than a week dedicated to the spread of mathematical joy? Note: This is a 21+ event. Registration is FREE for those who attend the symposium. For those who are unable to make the symposium but would still like to attend the celebration, there will be a $25 advance registration fee ($35 at the door). Drinks and snacks will be provided. Registration has closed to register as a symposium attendee. Click here to register as a non-symposium attendee ($25). Learn more about other MoMath-GMP events at gmp.momath.org.